Before instagramming your weekend brunch became a thing, I really wasn't interested in breakfast. I guess I just thought it was either cereal, toast and neither of those things are really very enticing. Nowadays I wake up at Andrews every weekend and get super jealous when I scroll through instagram and see everyone's amazing looking breakfasts, poached eggs with avocados and smoked salmon, orange juice, croissants. It's become just as much of a thing to go out for breakfast as it is for dinner. I was invited to come and have brunch at Foxcroct & Ginger in Soho which I definitely couldn't turn down. Since everyone I know works, I picked a day that I was in town for press days and went along on my own to fuel up for running around London all day. The little cafe has a very chilled vibe. Lots of students and people working on laptops and others sitting alone with a hot drink, getting lost in a book. Luckily for me, it was somewhere that was very comfortable to be sitting and eating breakfast on my own. 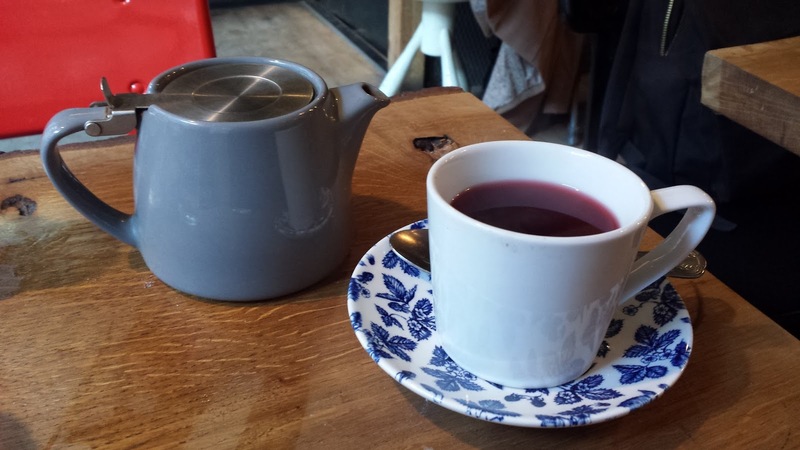 I started off with a drink, there was a big selection of teas so I went for something unusual, a strawberry and hibiscus tea although it wasn't to my taste, it was a bit bitter for me so next time I'll be sticking with mint. As I said, I have only recently discovered the joys of poached eggs and hollandaise sauce. I have seen the normal smoked salmon or spinach options so when I spotted with a few different ones on this menu I was pretty excited. They had a choice of either mushrooms or pulled pork. It was just after 11 I went for the mushrooms for a more breakfasty feel. I must also have a new thing for mushrooms too because I spotted a mushroom, egg and truffle oil pizza which also got my mouth watering. When breakfast arrived, the eggs were cooked perfectly, it was a very generous portion and the mushrooms were delicious! The bread was just a bit too crunchy for me but I guess that's what you get when you order a dish with sourdough toast. Along with my main dish I couldn't resist a side of avomash. It was a little pricey at £2.50 for a tiny plate but it was definitely enough to accompany my breakfast and it was so good. I enjoyed my breakfast and would happily go back if I was in the area! 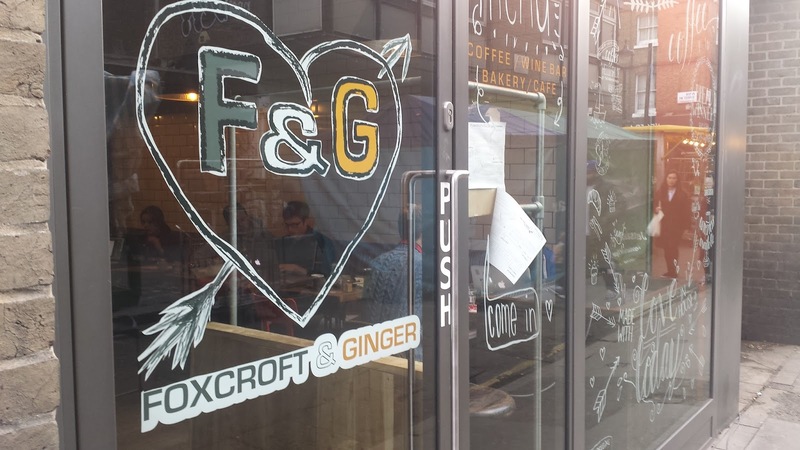 *Foxcroft & Ginger kindly covered the meal in return for my review. All opinions are 100% honest. 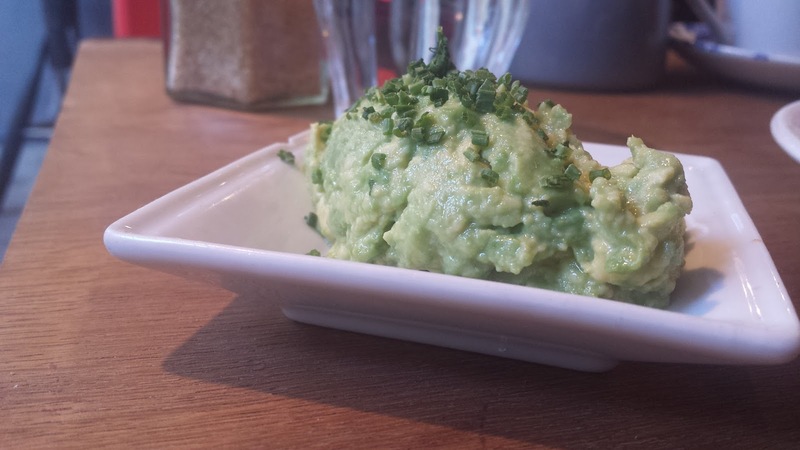 Looks like I'm going to have to add this to my brunch list! Ooh this looks so yummy, especially the avomash - never even heard of that before, but it sounds amazing! 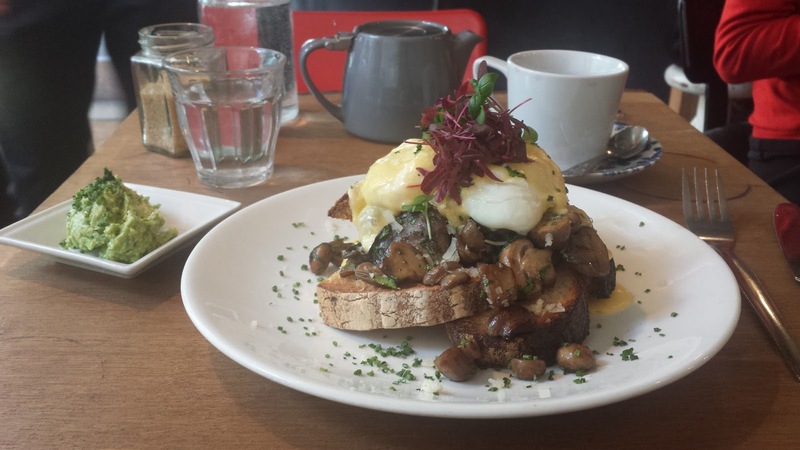 Wish I lived closer, we have pretty much nowhere for breakfast/brunch around me! I need to go out for breakfast more too! That looks absolutely gorgeous, makes such a nice change from having breakfast indoors.